This is the thing. I bought this lovely camera in 2005. Over the years, it traveled with me all around the world, and never abannonded me. Hovewer. 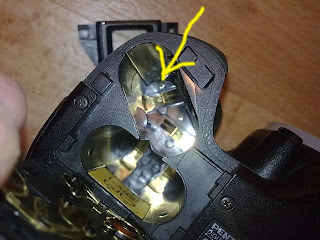 Recently, the dial-wheel button for changing the shutter or apperture and the power ON-OFF button started to strike on me. So...I took the risk and played with it a bit. Here are some photos I wanna share with you. Tools you might need: tweezers, philips screwdriver, cotton swab, alcohol for cleaning the contacts, shot of Johny Walker for steady hands and the solder in case you screw something. 1. 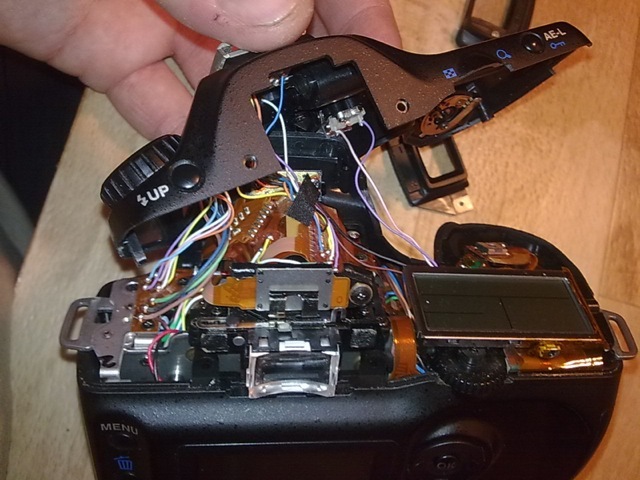 To remove the top part of the camera, you will have to remove 5 of these screws. Dont forget to open the flash before, while the batteries are still in. Remove the battery but do not shut the flash. Remeber position of each screw. 2. There is another important screw to take out from inside of the battery slot. 3. Gently remove the top part cover. 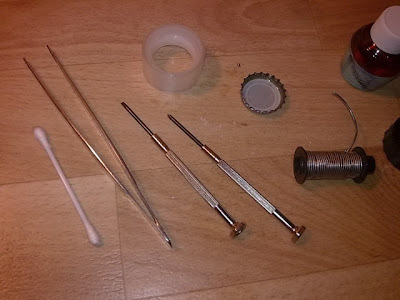 Be careful with short lenght of the wires, you might resolder the torn ones back to their position. So be very carefull. 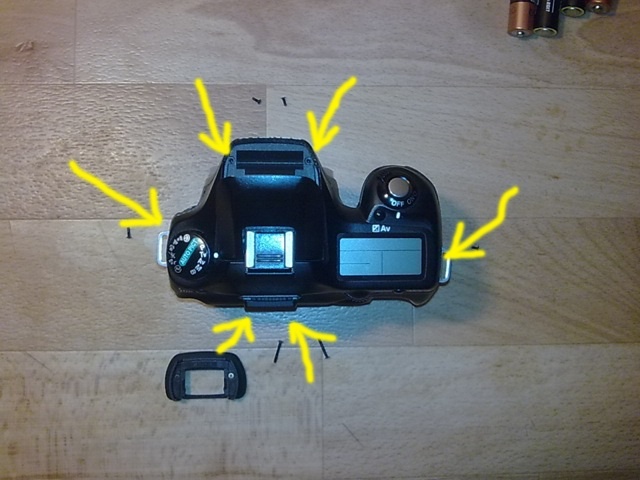 There is no need to remove the little components which are mounted on the inside top-cover. Thanks for sharing. My DS has a failed flash pop up switch I may need to remove the top cover. 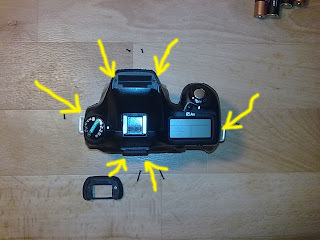 HINT: When you first manage to lift off the top cover, STOP and make a diagram of where every wire goes, at both ends. The ones for the hotshoe and flash, especially, are quite short and easy to pull loose. Great contribution ! Thanks GP49 !